MAN POWERED FISHING: Another Fantastic Year...But 2013 Could be Even Better! Another Fantastic Year...But 2013 Could be Even Better! 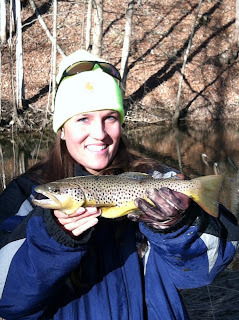 Well the 2012 deer season is officially over, so it is back to the water...and blog. My love of hunting was re-kindled even more this year and it was weird to wake up today knowing that I won't be stalking deer again until next fall. But, I was able to put a buck and a doe in the freezer, so it was a good end to a year in the woods. My 2012 on the water was fantastic as well. In fact, it was probably one of my favorites. I didn't take nearly as many trips as some years past, but I caught a pile of fish, plenty of big fish and fished a ton of new water. The BASS Slam was the biggest highlight for me and was incredibly fun. I am already conjuring up ideas for a 2013 adventure trip. I also came up with a personal challenge for 2013. Thoughts on the adventure trip range from Maine to Wyoming to the northern reaches of Canada. Basically, I want to go off the grid and do something outside of the box. Hopefully I can come up with some concrete plans by March. As for the personal challenge - it will be two parts. Part 1 is to catch a citation bass in NC. I have been within sneezing distance of a citation a number of times recently, but have not gotten over the hump. And like a fool, I didn't fish nearly enough last spring and this fall when fish were fattening up. Plus I didn't fish Shearon Harris, one of the best big bass producers in NC, even once in 2012. This year, I am determined to get that citation! Part 2 is something I think will be awesome, but probably not easy. It was inspired by this quest by Shaye Baker. His goal is to land 100 bass over 4 lbs from September 2012 to September 2013. The last time I checked, he had 10. I am hoping to catch 50 bass over 17"....on the fly and from my kayak. None of them will come from private waters or ponds - all public lakes, rivers and streams. So if anyone has a favorite pattern - send it my way! I will also be finishing the BASS Slam videos this year - starting with #3 - the Shoal Bass, which will be out tomorrow. When I get all the videos out, I will write up a couple all encompassing blogs that detail the journey and fish with pictures. So here is to a great 2012 in the rear view and 2013 on the horizon. Tight lines!